UPDATED March 23, 2011 at 1:26 pm: We’ve since added an additional membership level above Platinum called Diamond. To learn more about this new membership level see this post or view this video. Are you an Expert Author trying to upgrade your membership status on EzineArticles, but finding the concept and process just a little confusing? You’ll be happy to know you’re not alone! Many of the questions asked by authors are in regard to the purpose and procedure of the EzineArticles membership levels. Fear not Expert Authors! Your pleas have been heard. The answers to many of your membership level questions are in a brand new video hot off the… um, hard drive. In this video, you’ll discover the reasons behind the membership level system and better understand the benefits of achieving Platinum Membership. The video will also touch on the often misunderstood Premium Membership. Best of all, you’ll get the straight scoop on how to move up the ranks to Platinum Membership quickly and painlessly. UPDATED May 8, 2014 at 4:57 pm: Hi! We’ve removed this clunky old video and welcome you to view a more recent video on our membership levels by clicking here! And leave a comment about what kind of EzineArticles training videos you’d like to see. Great video and blog post Marc. Very easy to understand and follow. As far as future videos go, I’d like to see more topics on article marketing and advanced article marketing. Hello, This video does make it easy to understand the process of “moving up” and how to write for easy article approval. It’ll help new authors know quickly and easily what to do and how to do it. Good advice and direction. Gives me some goals to reach. Think I’m on the right track with my first article. Very clear and concise explanation of the process Marc ~ thanks! Can’t wait to achieve Platinum! Thanks for this. No matter how careful I am, there’s a fine line for writing about my business without excessive self-promotion. I see how important that is, and hope to do better in the future. So let me try again, I want that Platimum status! That was a very informative video. I didn’t know what the next step was after reaching the basic limit. Also, I thought any articles submitted beyond the initial limit was a paid submission. Now I have a goal to become a Platinum Member! Now I understand almost everything! Thanks for a well-done video that is to the point. This actually should be required viewing in all public school classrooms grades 5 through high school. After watching the video I have one unanswered question. If any of your first ten articles are rejected does that result in automatic denial of Platinum status? I must be behind the times Marc. What’s happened to Expert Author status? Thank you for the details and clear explanation. I’m encouraged to keep submitting! The video clarified the reasons for moving up the ladder. Great work on the video clear and informative. The previous explanations have led me to believe that going directly from Basic to Platinum is the norm, and that Basic Plus is the “Naughty Chair”. This video implies that Basic Pus is the norm and that the direct leap is a bonus. I think this will encourage new authors to perceived rather than give up if they don’t hit Platinum after 10 articles. Very helpful video. I knew that the guidelines had changed, now I know what the changes are! Thanks so much for the video. It explained it all very well. I would much rather listen to a video than read about it. It gives my eyes a nice rest from the computer! Keep them coming. Thanks for a good informative video on platinum membership. It certainy has given me motivation to upgrade. I cannot access the video I ma deaf. Have you the information in text format. Article Marketing can really make a big difference to your online exposure. While EzineArticles.com plays a vital role in getting higher SERPs. So, its really critical to be a Platinum Level asap in order to give your efforts an extra push with volumes. If your first 10 articles are rejected over a period of time (such as 3-30 months), there’s a good chance your membership account may be terminated before you get a chance to earn an upgrade. If your first 10 articles were submitted all at once, we’ll look at the rejections as a training exercise rather than identifying your account as a problem or non-ideal member. You do not have to have flawless submissions to earn Platinum, but we look for intent behind your submissions. ie: Did you show good faith effort or are you just trying to pump regurgitated article vomit into the system. “Basic Plus” – We look at soft-rejections as a chance for you to learn how to improve your articles to be something we can accept rather than a punishment. The best submissions leap directly from Basic to Platinum. Our target with Platinum is to have article submissions from a member who has a profile of being an ideal member who submits original content that is exclusive to that persons’ name and follows our posted Editorial Guidelines. It takes our Editors about twice as long to review a Basic/Basic Plus members article vs. a Platinum… so our newbie Editors cut their teeth in training by learning how to review and approve Basic level members whereas our more Sr Editors ‘earn’ the right to review Platinum level author article submissions. We are working on a one page PDF right now that will outline the guts of what was in this video. Expect to see that from us soon. Thanks for the supportive training. Thank you very much. Your response cleared that up. I was just worried because I had accidentally submitted an article with three self serving links instead of the allowed two. (1 of 4 had an issue) Thanks again. If your are writing articles, you must take advantage of this great video. See it today. Thank you for posting this video. The content was excellent and it quickly and easily explained the EzineArticles process. The short video was much more effective than reading through various elements on the site. I would like to see more videos outlining the article writing best practices that have been sent in numerous updates. I believe the video delivery will be more effective and impactful vs. just reading the tips in the emails. I appreciate your efforts to continually improve EzineArticles and also your attention to quality. Keep up the great work! Thank you Marc, Chris and the rest of the EzineArticles team. I appreciate the time and effort you put into creating informative videos, crafting the Article Training ecourse, and being interviewed — loved the one with Chris Knight and Jeff Herring last month! You all rock. Keep up the great work! Nice review. Very informative. 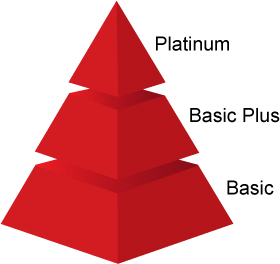 I am in the basic plus…Marching towards platinum. This video encouraged me to submit more articles. Its been a superb journey of writing articles. Thank you. Informative and well done. This video will be of great help to new authors. Excellent. I wish I had seen this video when I started. This will certainly assist new and old members! The video was great. Cleared up a lot of questions i had. This was a tremendous help to me, a rookie, in understanding what appeared to be a complex issue–how to move up. It was very much appreciated. We appreciate all the kudos and kind words! Thank you! Rest assured, more videos of this type are already in the hopper. In addition, there will soon be a video archive page where you can go to see all videos currently on the site. It should prove to be a nice “one-stop shop” for everyone looking for video training. Great help and thanks for the advice. Is much clearer now how to move up the levels. That’s good news Marc. Once in awhile, I come across a new author and this will be the place to send them. Seems I’m always repeating myself, but this is one of those things that makes EzineArticles great. I’m having trouble with my medai player and can’t watch the vidio. Do you have the same information written anywhere? Kudos with everyone about the videos. They were very informative and if I had any problems with understanding how the rise in author status worked, they are dispelled now. I am looking forward to your comments on my first article. Excellent work, fellas, and thanks for the opportunity. Thank you for the video. I was somewhat discouraged because of waiting for article approval and I have forgotten all I ever learned about the levels of membership. This was a great review and it will be a tremendous benefit to newbs. Thanks for the very informative video, it really makes the whole multi tier thing understandable. I really appreciate this video it helps me to understand the real reason behind the rejections that I do recieve in a positive way. Teaches me how to use your criticism constructively and not frustatingly. I submitted an article to you some time ago, never got any feedback OR response. Just several emails from you stating that the article had not been published. No reason why ??? A complete waste of my time! Your publishing requirements are to complicated waste my time with! I am a newbie and don’t know much about EzineArticles. Not a single article has been published yet. Your video will shorten my learning process. I really appreciate the email alert that led me to this fantastic video. It’s now a very compelling issue for me to upgrade to Platinum level. BTW, it’ll be a great move if the icons you offer for the authors to be different according to the levels. Thank you and keep doing the great job. Maybe I’m missing something obvious here, but I can’t see any video here or any links to a video. Can you help please? Thank you very much for a very educational and motivational video. It really keeps me going! Great video, I, too, wish it had been available a year ago when I began submitting. I am now almost to Platinum level. I think future videos on article marketing would be helpful. I liked the ezine submission thing you started doing. I had an article that had to be resubmitted multiple times after i made a change in the signature box. I finally realized it wasn’t the signature box being the issue, but a link in the article that had changed without my knowledge. Is that going to hurt my account when I want to upgrade it to Platinum I wonder? Also, I know several people who don’t write the majority of their own articles and instead outsource and hire others to write articles for them and then pass them off as their own work. What is the community’s take on this? I’ll add that many of those people easily earned platinum status – seems a bit of a sham to me. Thank you for this video. It has cleared up some of my questions regarding my current status and moving up. Learned a lot. I better get writing. Thanks for the video. It was clarifying for me as a newcomer. I appreciate your intention to provide quality material for our readers. It’s fun! Very useful reminder of article guidelines and prompt to write and submit more content. Thanks! Great Video. I was wondering how you got to Platinum, I always thought that you had to be a paid member. I was also wondering if EzineArticles was going to introduce Video Articles just like this one. There are certain subjects that are much better explained with videos and pictures as the content can be quite dry ( for example Will writing) and the concepts involved are quite difficult to get across in a purley written format. Thanks for the heads up on all this great to see that the EzineArticles team are keeping the membership updated and informed. Another excellent video. Many thanks for making it so easy to understand, especially valuable for the newbies here. I am a newbie, have not written an article that was published but working my way there. This video will be very helpful to start submitting. Now I have a goal to look forward to. Thanks. Could you provide information on free or low cost grammar checking software resources? Great post and good video tutorial. I love the way EzineArticles.com is combining media and becoming a vital piece of web 2.0. My golden rule for writing an article is to just focus on sharing good information that your target audience can actually use. I tell my clients not to even focus really on key words or links. Focus on helping your audience solve a problem, achieve an outcome, or discover some new tips/resources they may not know about. The litmus test – “If a prospect would get some good useful/helpful information even if they never contacted you again.” – then you’re on the right track with your article writing. Funny you should ask! We are indeed producing a single-page PDF version of this video as a kind of “cheat sheet” for our authors. Expect it in the next day or so. Watch the BLOG for the announcement of its release. It’s ok to outsource the writing of articles provided you have strict quality controls in place. That was one of the main reasons we did this video. We wanted to make sure everyone knows you don’t have to be a Premium member to become a Platinum member… and conversely, being a Premium member does NOT guarantee you’ll earn Platinum status. Several Premium members are in Basic Plus status right now. Platinum membership status cannot be bought. I reviewed your account and someone from our Member Support team will respond to you privately today. Again, thank you for all positive comments on this video! It’s nice to see that our efforts matter. I’d be remiss in not acknowledging the talented efforts of Jason, our video producer, and Shaun, our graphic artist. Theirs is the sweat behind all of our video projects. Finally, I’ll give you a sneak peek into something else we’re working on: Downloadable Videos and Audio Files. Soon all of our videos will be available in the current streaming format, plus as MOV, WMV, MP3(audio) and iPod(MP4) files that can be downloaded to your computer or device. I totally agree with your requirement to follow editorial guidelines ESPECIALLY the one regarding proper spelling, punctuation and formatting. I m so tird uv redig slopy & unprfesunal-luking artickls. Seeng this knid of riting relly redooses my repscet for the autor und maikes me kwesjun ther kredability. If you can’t spell or produce correct grammar, HIRE someone to do it for you. Thank you for the informative video. I am a very experienced writer but new to Ezine Article submission so this video was very helpful! Thanks for a great and informative video. I had my first 10 articles approved quickly and attained expert author status. Then suddenly I could not understand why my next article was not allowed. After reading this and getting help via email from your staff I now know more about the process. I look forward to my next article being reviewed so that I can obtain an upgrade for more submissions. An informative video and helpful staff/ great team/ thanks again. Great explanation of how your system works. Nice easy to follow video tutorial. It was also great to actually see someone following up on and responding to posts many sites do not bother. My goal is to submit 3 articles by 4-1. Thanks for the video explanation. It was all very clear and has made me think about where I am at. Videos are definitely a great way to learn things. I am very pleased I have found this Twitter blog, to keep me informed and up to date with EzineArticles. Excellent training video. It was comprehensive, concise and just the right length. This is a very effective method to provide information, and I hope you will do more of these in the future. I had forgotten the details about the number of links allowed per article. You are allowed to have up to (2) self-serving active links and up to (2) non-self-serving active links. The training video was great and easy to follow along. Bravo! The video is an excellent review of good article writing in general, as well as the requirements of your site. This is a great video just got my Platinum Level and I’m so happy. Terrific video! Definitely answered some of my questions. Great video, well explained just 00:05:59 time. I hope to receive a platinum level membership soon. I posted earlier to say that I couldn’t see the video but now I’ve found out what the problem is, I thought I would let everyone know what fixed the problem for me. I have Sunbelt Personal Firewall and I selected the Web tab and then made sure that, under Web Content, the Block ActiveX box was not ticked. thanks for video and it is very well explained. Tried to watch this, it stopped 13 seconds in, couldn’t get it to restart and play through. Sadly, web-based video is not without its challenges. Despite our best efforts to make our videos “universal” there are still going to be people, like yourself, who experience some technical difficulties. You’ll be glad to hear that in the very near future we’ll be offering multiple formats for our videos. So if one doesn’t work for you, chances are another one will. Thanks for answering questions before we ask them. Keep on working to keep this the best ezine marketing source on the net. Thank you so much for the clear and concise information about membership upgrades. Actually, I didn’t even realize upgrades were offered. I’ve been so busy writing that I missed this important component. Thanks for all your great ideas and information. It really helps keep me in the loop and inspired to write more great, original content. Thank you for reminding me of ways to improve and grow as a writer. These tips will help us all. Wonderful. Writing is a delicious discipline and being published is the cherry at the top of the sundae! Thank you for preparing the informative video on member levels. It is a clever way to motivate people to be engaged. Well done. The guidelines are easy to follow and fair. Thanks – that made things pretty clear. I had been thinking that Basic to Platinum was the automatic next step. I’m hoping that I can achieve that, but one of my first 6 articles had problems so I might have to go via Basic-Plus. (I hadn’t noticed the restriction on ‘blog-style’ articles so I moved the article to my blog and wrote a more general article and linked it to the blog post as an example of what I was discussing). My first article got me suspended! But I have since made 61 good articles… could that first article be holding me back? One rejected article or error does not nix you from being eligible for a Platinum membership. We review the intent behind your submissions that demonstrate an effort to understand the guidelines and apply them to your submissions. Good, practical information & well worthwhile watching. I went through all of this when I first joined, but having just listened to it a second time I can certainly say that it did not all go in, make sense, or properly register the frist time. I would certainly suggest that anyone striving to get platinum membership like myself listen to it a couple of times. Great information, makes a lot of sense and will certainly help to put people on the right track. It took me a while to learn that although 4 links are permitted, you will question links in the body, and, those in the body cannot be self serving…. I’m thick, not predatory …. Do you think this will prevent me from becoming a Platinum? I’d really hate to miss out on the current challenge because … well, I’m enjoying it more than ever. This does not mean that a few mistakes will bar you from ever reaching it though. We will review your account as a whole and if we see that you have made a determined effort to fix your errors and learn from them, then you’re OK.
Also, getting a Basic Plus membership which allots you an additional 25 articles is not bad either. It means you need a little more practice and with more effort and learning, you’ll have the opportunity again to earn Platinum. Tip: Write quality in every article, proof your articles before submission, and over-deliver to your readers. These tips will help get you there faster! I noticed the extra 25 article permission. Thanks guys! Raising the bar is good! In my younger days my uncle had a chook farm & when a new batch of chickens arrived he would raise the level of the auto watering device each day so the chickens had to stretch up to drink. Hmm… I still don’t know if that’s good or bad, but my uncle would argue that raising the bar is good. I have to say that all these guidelines to get to platinum or even basic which makes EzineArticles one of the few best if not the best among other EzineArticles. I should also mention that I have had an experience of where one of my articles was mistakenly placed in rejected red box then the issue got resolved :-). keep up the good work and we as authors must do our part too. I’ve just been turned down for Platinum membership but at least I have Basic Plus membership again giving me 25 more submissions. One of my rejections (I had two Basic plus rejections) was made by mistake – when I sent a message to find out the issue I was told the article had now been passed and the rejection was an error. I hope this rejection wasn’t seen as a genuine rejection and made the difference in me not getting Platinum this time. I could not watch the video but I have downloaded the pdf article for my training. My next online ambition is to move from basic plus to platinum before the end of 2009. Wish me success. Of course I wish you success! I wish everyone at Ezines success. Thanks a lot Nancy. I need this success very much. Thanks for the help and encouragement! Thanks for the video and the pdf version. Now I know how to become a platinum member. We learn by trial and error and success. Thanks for putting up a Video. Great motivation to move up to Premium. Yes the video presentation is for sure high quality, to the point and very easy to understand. Thanks. Never took notice of the membership levels when I first registered with EzineArticles. But submitted a few articles this week and just received an email that I’ve been upgraded to Basic Plus. Got some articles on the pipeline for submission and will definitely take note of the author guidelines. One step at a time. I didn’t pay much attention to the other levels before. I just wanted to submit my first 10 articles. Thanks for all the tips you’ve been sending to my email. They worked. I got upgraded from basic to platium. Yahoo! I have submitted several articles and was not aware about Platinum Membership until I received the mail from EzineArticles and saw above video. You rock. It seems to me that people who are experienced at writing articles will probably make platinum fairly easily, as long as they’re trying to actually write an article here instead of writing a sales ad. It helps to read the guidelines too. You do have to start somewhere though. If you’ve never written articles before, then Basic Plus seems to help people get through the learning curve. Knowing what you hope to achieve from writing articles is paramount and if they are sales related it is critically important to learn the format of keywording articles. I have personally found some sales related articles of great use as they do tend to explain what you need to know if it is relative, whether you click through to see the sales page after is up to you, but you can certainly gain some additional knowledge from these kind of articles if done correctly. Articles have been written on almost every subject that you can think of so if you have a desire to know or learn something what better way than to do an article search and find out exactly what you want to know absolutely free. I’m so excited! I’ve reached the Platinum membership level here at EzineArticles. Thank you so much! I hope to continually provide quality and originally articles for our community. After 10 submissions, I’ve now reach platinum membership! Wow! I will forever value my membership here. Thank you so much EzineArticles! Keep up the good work! Marc– I thought this was a very concise and clear explanation of the upgrades and status levels. It wasn’t too long and answers a lot of writers probably have had about the upgrades. Excellent video…I’ve reached the Platinum membership level here at EzineArticles as well..Thanks so much! I just wanted to say thanks for all the very useful guidance and information. Excellent video. It is refreshing to find an operation that genuinely tries to help the membership along rather than just adopting a sink or swim approach. I have only been here for a couple of weeks but the supporting documentation is excellent and the requirements are very clear and very attainable. I was recently upgraded to Platinum and u can imagine how excited i was. I have deep passion for writing and personally have an article directory which is fast growing. EzineArticles has proven beyond doubt to be the leader as far as article directory is concerned. I’ve improved my writing and have not had any of the errors that I got during my first initial submissions. After my latest 25 articles, I still have not been given platinum status. Sigh. I think the key is to think first of the reader’s needs. Am I writing just to post some content on the net and get a couple links out there, or am I writing something that I feel will genuinely help people? Several VERY successful bloggers/EzineArticles writers agree – Make helping others your most important priority, and success will follow. I’d love to hear some tips and strategies for increasing article views! Great post, helped me to understand the growth potentials of EzineArticles as a member. I am currently on basic plus in just two weeks of my membership, will definitely strive to raise the bar to platinum! I will carry on writing quality content to earn the platinum status! I’m so excited, I just went from Basic to Platinum, and I’m in the 100 in 100 days challenge, so it comes just in time to be able to submit lots of great articles for people to stop stressing out over life! I can understand how much useful is the video and post for me. I m already a basic plus author and surely this video will help me to reach for platinum level. This is very useful and encouraging. I wish to get to platinum level soon. Thanks for the informative share here! Very nice video. This help me to understand the whole process of level upgrade. Thank you, great video with highly clear explanations. Helped me a lot to understand some momemnts. Hey guys… In trying hard to obtain platinum status, I discovered a weird bug… Basically, I specifically focused on making sure every single one of the 25 articles meets the guidelines this time around, but something weird happened. 1)	I wrote a few dozen or so initial drafts in EzineArticles. I saved these drafts without publishing. 4)	Several days later I get messages that I broke guidelines on several submissions and was denied platinum for it. Sure enough, it’s the articles I fixed before I ever hit publish. We will look into this. Expect a reply back via email by day’s end. I have a clear understanding of membership levels now. I got my platinum level recently, thank you! I will work harder to write more quality content now. This was an irritating page. First, why not just write an article explaining the levels? It really seems what they call a wasted opportunity. Authors and writers are willing to read a bit, and some might even find being forced to watch a video irritating and insulting. The video is then too loud, does not allow rewind or any panning, or allow for full screen viewing. That is just lousy and wrong. Don’t force people to use videos. Video supplements content on quality pages, especially for sites that accept articles, but only without headlines or images. Hummmm… I should have watched this video a long time ago. I never understood the levels, nor the benefits I’d gain from moving up. Now I do I’m annoyed at myself. Thanks!